You’ll be surprised how much you can fit in this tiny thing. It’s like one of those narnia bags where you can keep putting stuff in it and somehow it never gets full. Perhaps it’s to do with the fact that you actually need money to keep a wallet full, of which I have nada. 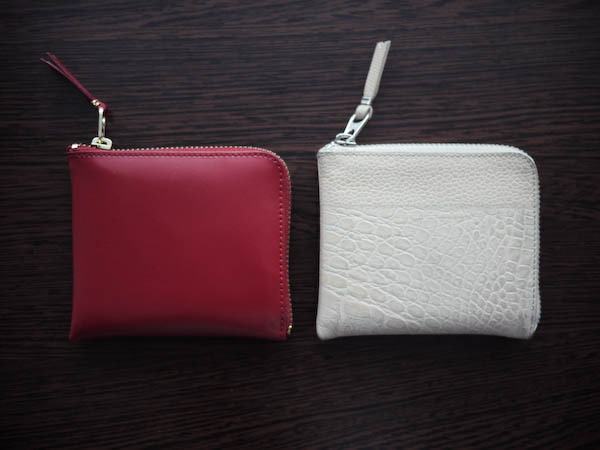 I got the tan imprinted leather one from Opening Ceremony in NYC, and the red one from Brussels. I already know the next one I’ll get is the tan one in black.